Getting Your Seeds Ready for Summer! We are quickly approaching the 2014 growing season! Keep your ears and eyes open for upcoming events. 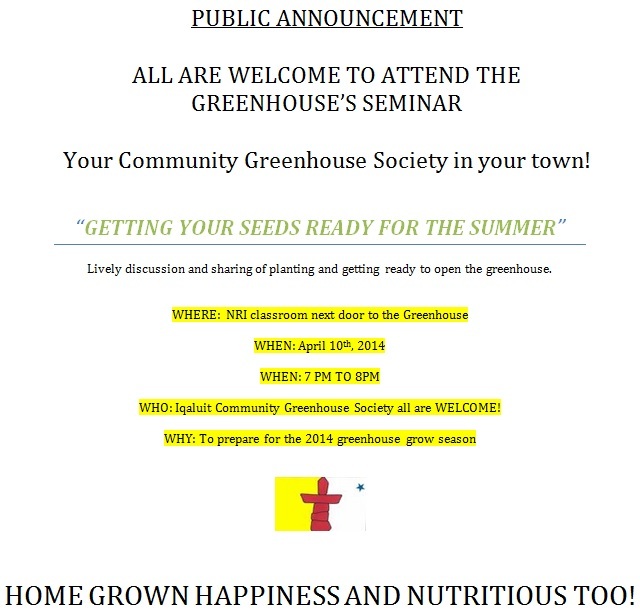 Please join us Thursday, April 10 for a seminar on getting ready for the growing season. Hope to see you there! We have developed our own greenhouse complexes in the Cariboo Territory and amongst the Maya in the Guatemala Highlands. We wish to support your efforts, your technical development, skills and whatever…. Thanks for your support, Lyra! We are not at the point where we are developing, however we are always looking for new innovations that will survive the harsh winter climate here. We will certainly be in touch!